Denver Water aggressively addressing ‘here and now’ of warming climate. Climate change is unfolding right before our very eyes. And for Denver Water it is serious business. Experts in Colorado point to rising temperatures, earlier spring runoff and extreme fire behavior as powerful evidence for climate shifts resulting from the buildup of greenhouse gases tied to power generation, tailpipe emissions and a wide array of additional human activities over decades. While some still argue about causes and impacts, Denver Water accepted the reality about climate change years ago and is incorporating climate warming into its planning across the organization. Denver Water is adapting to, and addressing, climate change through what it calls “scenario planning.” That means building flexibility into its operations and decisions to prepare for a range of plausible futures climate change could bring. Simply put, those scenarios range from warmer and wetter to hotter and drier. How does Denver Water take concrete steps to develop a system that can handle an array of possible changes to temperature, snowfall, rainfall and spring runoff? It starts with a flexible and adaptable collection, treatment and distribution operation. As the utility upgrades and modernizes, it’s building in more options and balance that will be key to delivering water when weather veers from the familiar patterns of the past. An expanded Gross Reservoir will allow Denver Water to draw more heavily on its northern supplies should the southern end of the system — which provides the bulk of its water — suffer a wildfire or flood that affects water quality, as happened in dramatic fashion in the big fire seasons of 1996 and 2002. At the same time, more balance on the northern side protects customers in time of drought. In 2002, the northern end of Denver Water’s system nearly ran dry. Responsibly capturing and storing more water in Gross insulates customers from losing access to safe, treated drinking water. Under the Colorado River Cooperative Agreement, the flexibility that comes with more storage in Gross also ensures Denver Water can support stream flows in the Fraser River and other high elevation West Slope streams in drier years. Denver Water is building the same kind of adaptability into its treatment plants. The new Northwater Treatment Plant north of Golden and upcoming changes to the existing Foothills Treatment Plant will give operators more options, allowing simultaneous treatment and maintenance as well as the ability to respond more rapidly to changes in raw water quality. Denver Water has already learned the hard way how wildfire can degrade water quality. Slopes of blackened trees and baked soils send stormwater and sediment pouring into waterways and reservoirs in the downpours that eventually follow forest fires. To this day, Denver Water is dealing with sediment in Strontia Springs Reservoir that dates to the 1996 Buffalo Creek Fire in the South Platte River watershed. Efforts to dredge it have seen limited success; the sediment swallows up storage space and has complicated water treatment. Denver Water has joined forces with the U.S. Forest Service, Colorado State Forest Service and Natural Resources Conservation Service to create the From Forests to Faucets program. 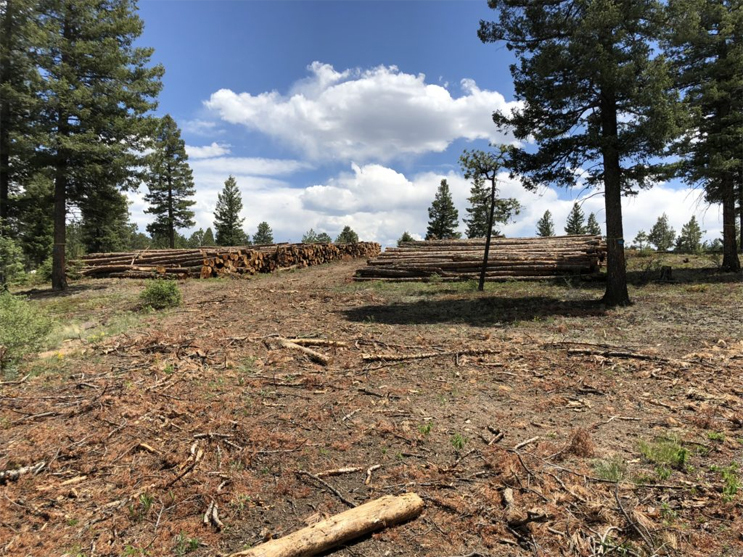 The $66 million effort — half from Denver Water — is both reforesting burned landscapes and restoring overgrown, fire-prone areas to curb the potential intensity of future fires. Plans through 2021 call for treating nearly 90,000 high-priority acres. In 2018, work conducted under the program stalled a wildfire in Summit County, saving property and landscapes. “As the hazards of wildfire worsen with a changing a climate, investments in watershed protection will continue to pay off,” Kaatz said. In the face of these uncertain scenarios, Denver Water is extending the use of its water supply. Denver Water’s Recycling Plant can process up to 30 million gallons a day of treated wastewater, making it safe to use to irrigate parks and golf courses as well as in Xcel Energy’s power plant cooling towers. That frees up enough highly treated drinking water for more than 40,000 households. Recycled water is one component of the utility’s One Water approach. One Water promotes the “right water for the right use,” to include recycled water for irrigation, gently used water from sinks or washing machines (graywater) for toilets as well as rain water and stormwater capture for irrigation. Denver Water is incorporating One Water principles into its redeveloped Operations Complex. Other urban developments, including the National Western Center site and Sun Valley Eco District also plan to bring One Water elements into their projects. Denver Water has worked closely with state regulators to remove legal barriers to these new approaches. At the same time, Denver Water remains committed to conservation and is focusing new efforts on efficiency to help customers eliminate water waste through high-efficiency fixtures and water-smart landscaping. Denver Water continues to look closely at its own operations to find opportunities to reduce its energy consumption and use cleaner sources. The organization has a goal to be energy neutral by 2020, meaning it plans to offset the energy it requires to operate by generating the equivalent amount itself. 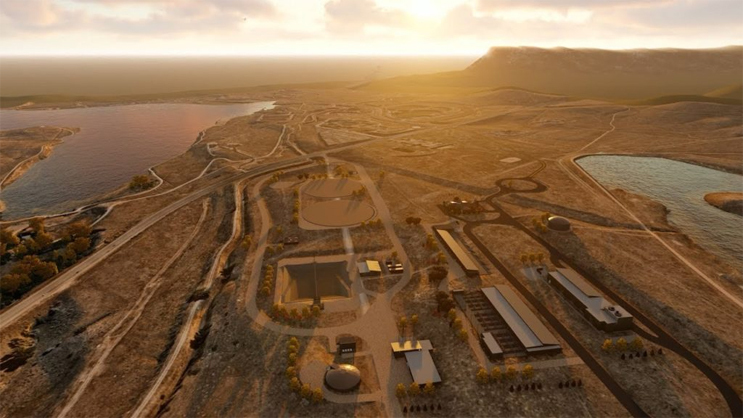 Engineers are designing the planned Northwater Treatment Plant north of Golden to offset all its power use, producing electricity through hydropower. In fact, any excess power produced at the plant will flow to the electric grid and help provide clean power to the region. Several buildings at the plant will be partially underground, reducing the amount of energy needed for heating and cooling. Landscaping at the plant will include drought-tolerant native grasses, trees and shrubs. Denver Water’s new administration building, scheduled to open later in 2019, will include a wide array of similar energy- and water-saving features. All told, Denver Water itself generates more than 70 million emission-free kilowatt hours a year through seven hydropower units at its dams and treatment plants. For context, one kilowatt-hour is about what a medium-sized window air conditioning unit requires to run for one hour. Denver Water’s ability to generate its own electricity saves ratepayers about $4 million a year and continues to be a major way the utility is executing sustainability and climate initiatives. A 19-year drought in the Colorado River Basin that many scientists believe is tied to a warming climate has forced Colorado and six other basin states to begin developing options to leave more water in the Colorado River to restore levels of major reservoirs Lake Powell and Lake Mead. 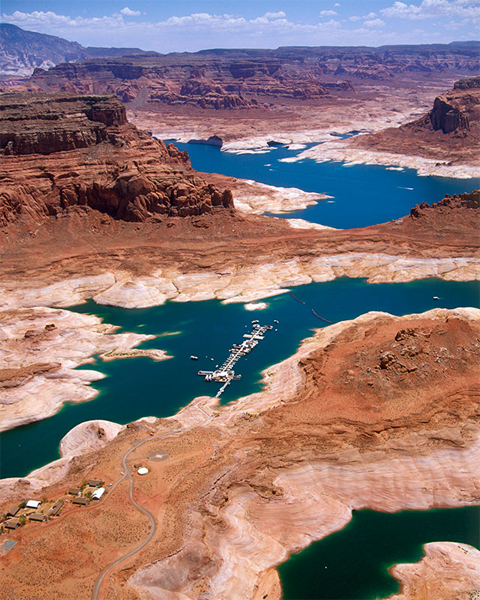 Denver Water has been leading the call, along with the Colorado Water Conservation Board, for drought contingency planning to develop statewide strategies to more carefully manage Colorado River supplies. It is one of several Front Range water utilities that depends on the river for a significant share of its water. 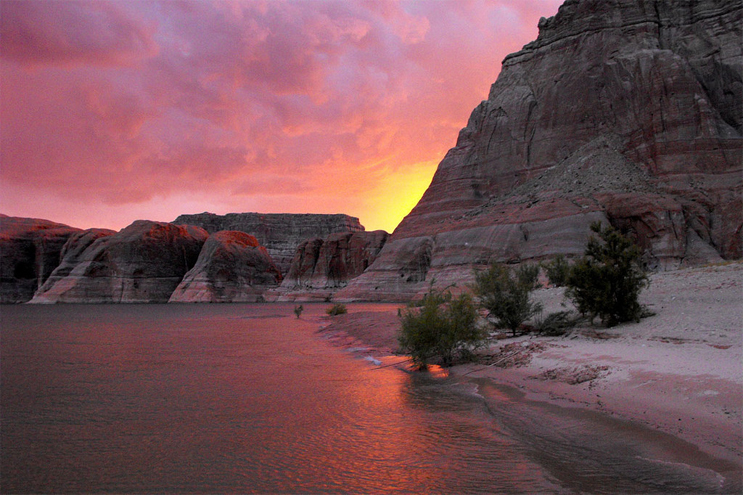 Denver Water favors the creation of a special “storage pool” within Lake Powell to ensure enough supplies to deliver to downstream states as required under the Colorado River Compact and Lochhead has said repeatedly the utility will take its share of pain when it comes to providing the water needed for such an endeavor. These approaches illustrate how Denver Water is building the fact of a warming climate into its planning and operations. The utility considers responsible environmental stewardship among its core values. Its commitment to sustainability extends throughout the organization and it recognizes climate change and the need to address it as an urgent matter. Follow Denver Water’s work to confront the challenge of climate change and the utility’s sustainability projects through ongoing stories on TAP.